Like many Kansas farm communities, Collyer thrived during the first decades of the twentieth century. Developments in agricultural technology, including the adoption of gasoline-powered tractors, and recordhigh crop prices during World War I left Kansas farmers with unprecedented sums of disposable income. Small-town businesses scrambled to accommodate the new consumer class. Whereas Collyer's residents at this time included laborers and agents working for the Union Pacific Railroad, most were carpenters, horse traders, merchants, butchers, and barbers who provided goods and services to the surrounding farm and ranch community. In 1917, Collyer was incorporated - for the first time - as a third-class city. It was during the post-World War I years that Collyer took on much of its present character. 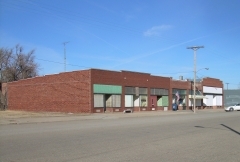 The district includes twelve historic buildings and structures all constructed between 1926 and 1935. Most buildings have been vacant for many years. The district was nominated for its association with the development of the community. Built in 1917 by the Lipp family, the Lipp Barn typifies the Midwest Prairie style with its center-aisle plan with flanking shed bays, wide sweeping roofline, and large haymow and gambrel-shaped roof designed to maximize hay storage. Originally constructed to house horses, livestock, hay, and grain, the barn has experienced only minor changes as it has adapted to evolving agricultural practices and technology. 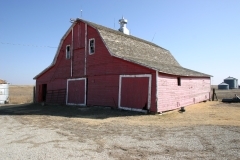 It was nominated as part of the "Historic Agriculture-Related Resources of Kansas" multiple property listing for its architecture and its association with local agricultural history. Nominated for their architecture, the St. Michael's School and Convent were constructed in 1916-1917 and 1925 respectively. Designed by C. C. Smith of Salina, the school is a two-story, red brick building featuring Craftsman-style characteristics in its form, low roof pitch, and third-story dormers. The convent, also red brick, has similar characteristics as low-pitched roof and has subtle expressions of the Craftsman style including exposed rafter tails and multi-light windows. Constructed as a parochial school and convent for the adjacent St. Michael Catholic Parish, the school was operational until the late 1960s. 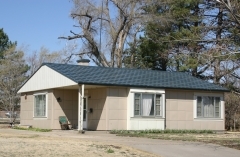 The Stradal House, constructed in 1950, is a one-story, side gabled, Lustron home designed in the two-bedroom Westchester Deluxe Plan. 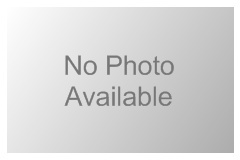 The exterior steel panels are desert tan with white trim. Built by Dreiling Implements of Hays for John and Agnes Stradal, the Lustron was a prefabricated metal home that had interior features of built-in cabinets and bookshelves. It was nominated for its architecture and its significance as one of only a hundred Lustron houses extant in Kansas at the time of nomination. 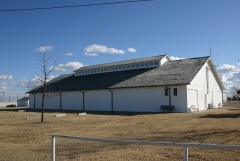 Constructed in 1916, the Exhibit Building located at Trego County Fairgrounds is a simple rectangular structure with gable roof and a clerestory that rises three feet above the lower roof. The exterior has wood shiplap siding and the interior is open with hardwood floors. It served as the hub of the fairgrounds and provided a space where community organizations could meet and hold events. The Exhibit Building was nominated for its association with local recreation and the Trego County Fair. 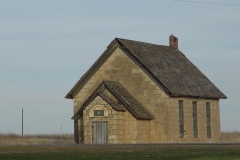 The Wilcox School was constructed in 1886 of limestone quarried from the nearby Smoky Hill River. It is a rectangular building with a gable roof and has two front entrances with three windows on the adjacent sides and a chimney at the rear. 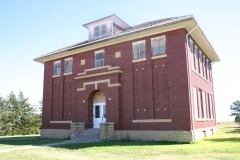 It was nominated as part of the "Historic Public School of Kansas" multiple property listing for its association with early local education and as one of the few remaining historic rural schools in Trego County.